Asus, Taiwan based electronics group, has launched a new smartphone on Wednesday which uses Google 3D Tango technology. This smartphone will allow users to experience virtual reality. This Zenfone AR is the second smartphone that will come with the Tango computing platform and it will allow indoor mapping and virtual reality. Asus rolled out this new device at the Consumer Electronics Show in Las vegas. The smartphone also one of a small number of smartphones that is comatible with Google Daydream. At the event Jonney Shih, Asus chairman, said "We are excited to be the first to enable Tango and Daydream". He unveiled the new 5.7 inch handset which can be available in mid of the year. He also added this new phone enables interaction with virtual objects. The device also offers to watch movie or play game in virtual reality. 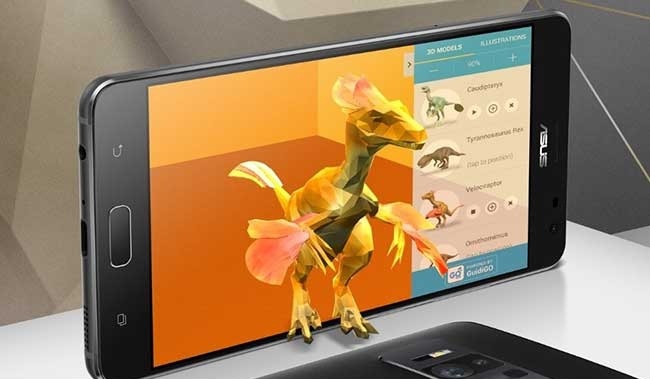 The project Tango allows users to get a better picture of a physical environment. The Project Tango has a depth sensing and motion tracking to create 3D experience. Johnny Lee, Google Project Tango Leader, at the Asus media event said he expected dozens of Tango enabled apps will be available on the Google Play store.